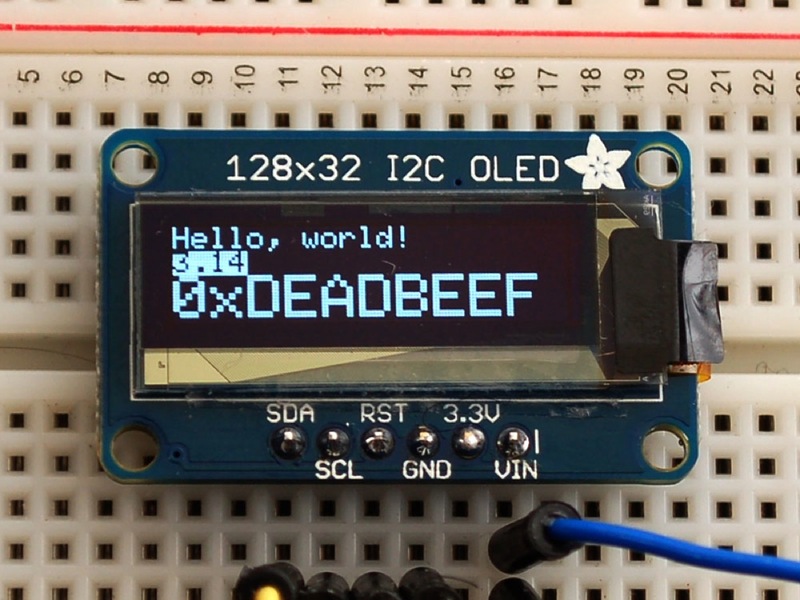 Adafruit SSD1306 OLED Display Driver for Raspberry Pi « Adafruit Industries – Makers, hackers, artists, designers and engineers! I worked to add I2C support into the SSD1306 library port for Raspberry, now it is working fine but more than this, I wrote some documentation on my blog. You will find all information on the link below, of course source code was updated on github. These displays are small, only about 1″ diagonal, but very readable due to the high contrast of an OLED display. This display is made of 128×32 individual white OLED pixels, each one is turned on or off by the controller chip. Because the display makes its own light, no backlight is required. This reduces the power required to run the OLED and is why the display has such high contrast; we really like this miniature display for its crispness! The driver chip SSD1306, communicates via I2C only. 3 pins are required to communicate with the chip in the OLED display, two of which are I2C data/clock pins. 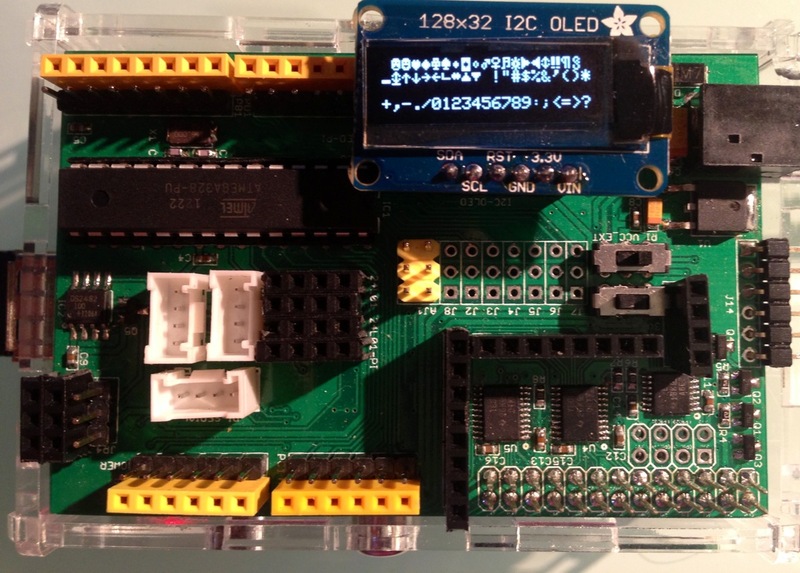 The OLED and driver require a 3.3V power supply and 3.3V logic levels for communication. To make it easier for our customers to use, we’ve added a 3.3v regulator and level shifter on board! This makes it compatible with any 5V microcontroller, such as the Arduino. The power requirements depend a little on how much of the display is lit but on average the display uses about 20mA from the 3.3V supply. Built into the OLED driver is a simple switch-cap charge pump that turns 3.3v-5v into a high voltage drive for the OLEDs, making it one of the easiest ways to get an OLED into your project!